Age: Candidates age should not be less than fourteen years and upper age limit is 30 years as on 01-01-2014. Relaxation is available. Qualification: Candidates should Possess Degree in Engg for S.No.I Post, Diploma for S.No.II Post, 12 + Certificate in vocational course for S.No.III Post. 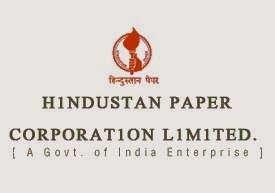 How to Apply: Eligible candidates may send application on plain paper to the Deputy General Manager (HR&ES), HPC Ltd, Nagaon Paper Mill, P.O. Kagajnagar, Dist: Morigaon, Assam, PIN-782413 on or before 15-12-2013.